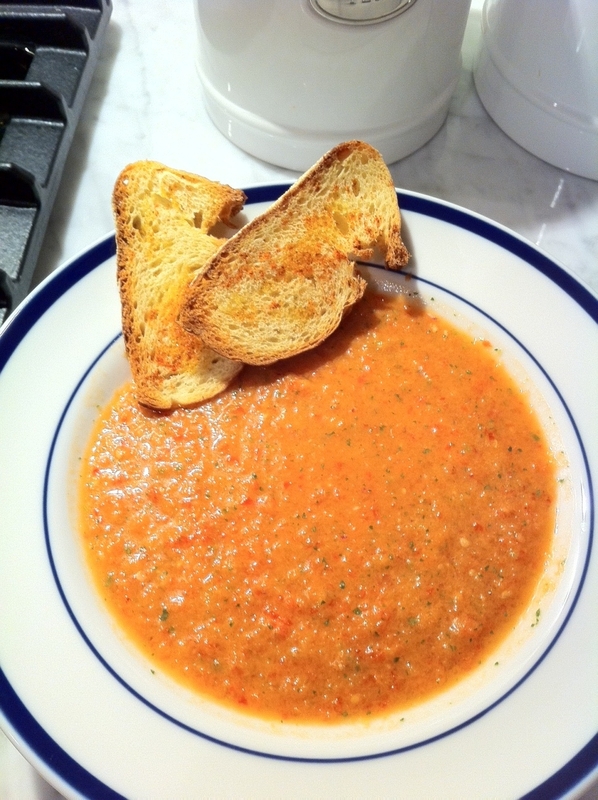 Heirloom Tomato Gazpacho with Garlic Paprika Toasts | Cosa Mangiamo? Tonight’s dinner was inspired by the farmer’s stand. I picked up some perfectly ripe heirloom tomatoes and other delicious summer vegetables and whipped up this quick dinner. 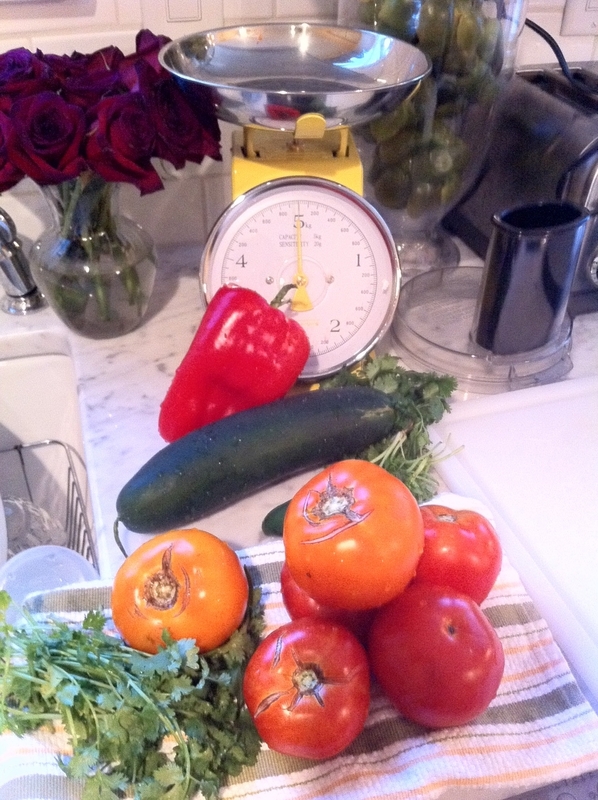 It is also perfect for lunch since the longer the gazpacho sits, the more flavorful it will become. I diced up all my ingredients first before tossing them in the food processor so that they would all be the same consistency and size when pureed. To make the Garlic Paprika Toasts just thinly slice a baguette on a diagonal. Place on a baking sheet and drizzle with olive oil. Top with garlic powder and paprike. Bake in a 375 degree oven until golden brown.